I love dyeing yarn! 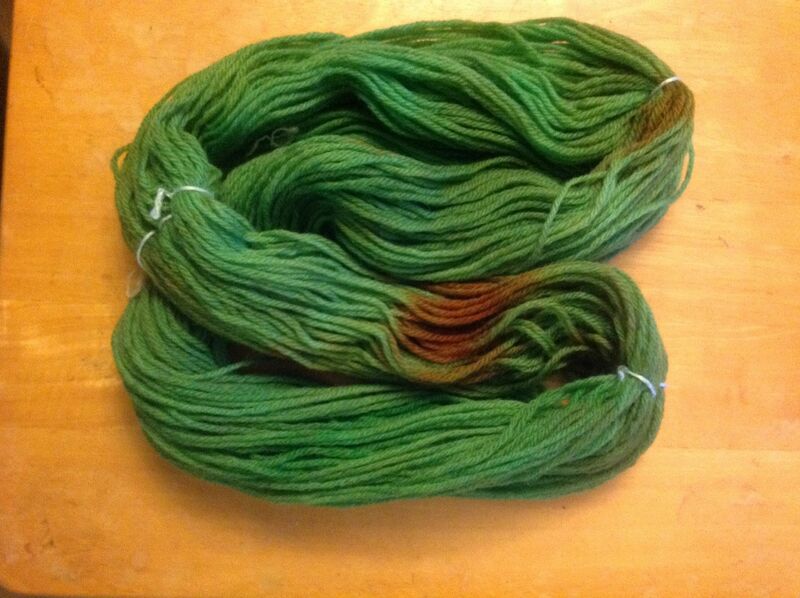 Whether is my own spun yarn, or commerically spun, I will dye it all! This is Lion Brand Fisherman’s Wool dyed with Dharma Acid Dyes. I love the colours, but hate the fact that it’s a little blotchy. But, after a re-skein and looking over the terrible little knot, I could not be happier with the result. 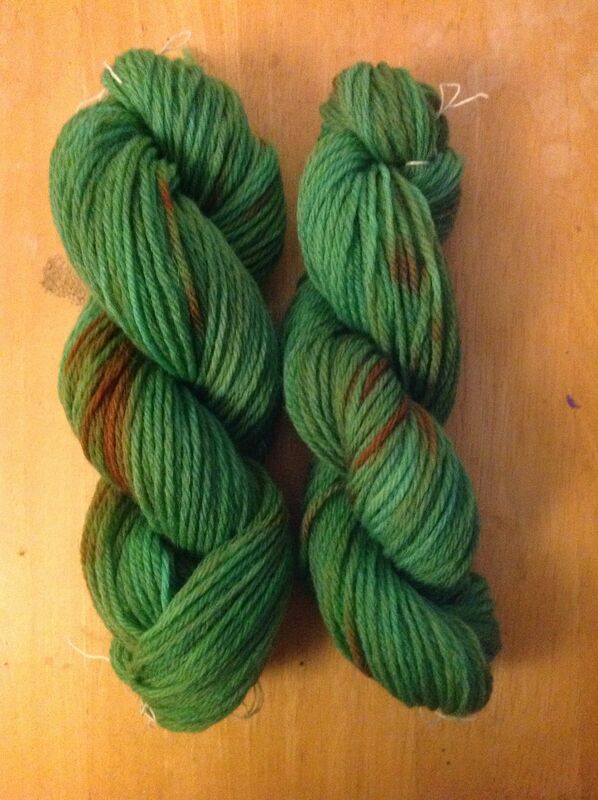 Now I have two wonderful skeins of 100% wool, bright green with orange splashes. 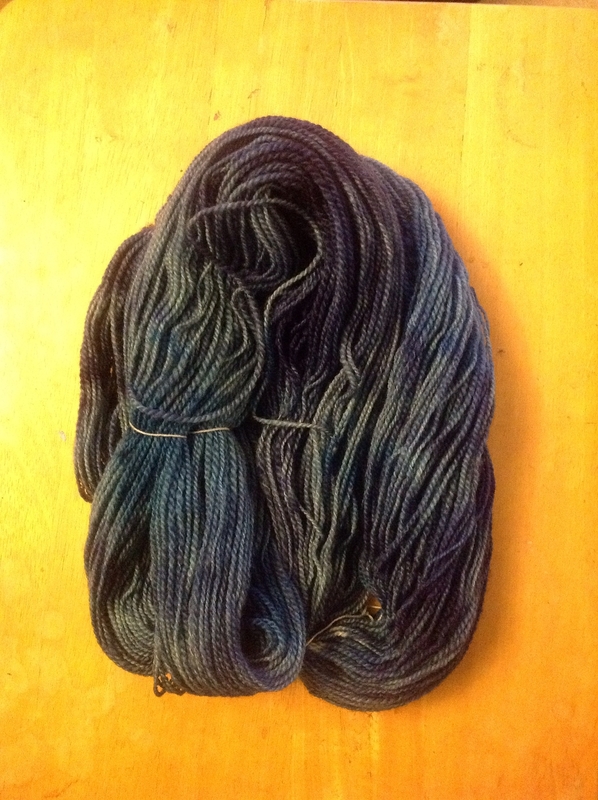 My favourite dyed yarn to date is my own handspun, Blue Faced Leicester spun into a thin 2-ply yarn. 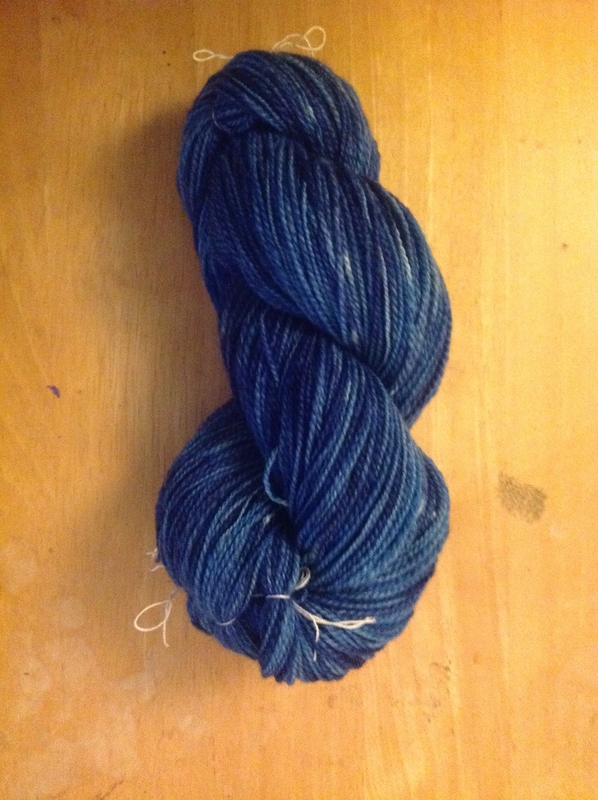 I dyed the skein with Dharma’s Navy & Peacock blues, hoping for a cobalt-like colour. I think I succeeded in making yarn that I don’t want to part with! I think that this yarn would make a beautiful shawl, like the Boneyard (free Ravelry pattern), or perhaps a beret! But, if you’re a weaver, I know it would look wonderful as the Woven Gossamer Wings Butterfly shawl by Noreen Crone-Findlay! I love spinning, I spend much of my time at behind my Walter Kircher spinnrad (spinning wheel) working on different styles of yarn from laceweight, to bulky and even art yarns! Right now, I’ve started gathering quite the variety of yarns and I need to clear out my AFHandcrafts etsy shop to make room for the new stuff! If you go to my shop, use the code spring10time to get 10% off your purchase! The sale will be on until April 30th, 2012 or until the items are gone!